Posted by Coolguy in Microsoft Technologies. 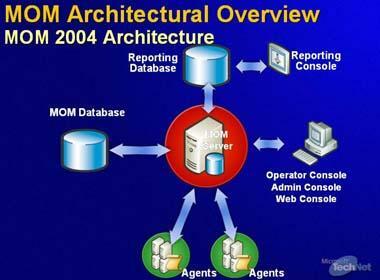 MSMQ is a component of MOM (Message Oriented Middleware) in the Microsoft world. It implements asynchronous communications by enabling applications to send messages to, and receive messages from, message queues. Although MSMQ middleware is sold separately with MS Backoffice software suite the MSMQ client comes with every version of Microsoft Windows. The current version of MSMQ is 3.0. Message Queuing-T (MSMQT), also called Biztalk Server 2004 Message Queuing, is a Biztalk Server 2004 feature that enables high-performance interoperability between Message Queuing applications and Biztalk Server 2004. Provides guaranteed message delivery, efficient routing, security, and priority-based messaging. Provides loosely coupled and reliable network communications services based on a messaging queuing model. It can be used to implement solutions to both asynchronous and synchronous scenarios requiring high performance. 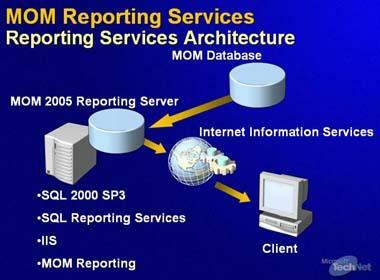 Applications can use MSMQ to send and process messages regardless of whether the receiving application is running or reachable over the network. The .Net service is responsible for pushing its outgoing messages to remote destinations. After the connection with the remote machine is established the message transfer takes place. 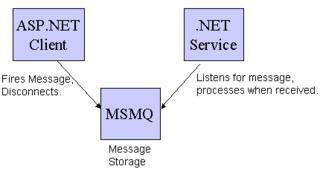 While in transit between senders and receivers, MSMQ keeps messages in holding areas, or queues. These queues protect messages from being lost in transit and provide a place for receivers to look for messages when the receivers are ready to receive them. 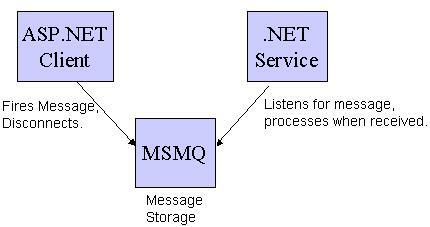 Transaction services can be used with MSMQ to ensure that the transaction completes properly. MSMQ implements a “point-to-point” style messaging to the clients while JMS API specifies a “point-to-point” and “publish-subscribe” models of messaging. Both can handle synchronous or asynchronous messaging. First, it collects and filters event data from managed servers. That data is filtered so you only see what is important to your servers’ health. 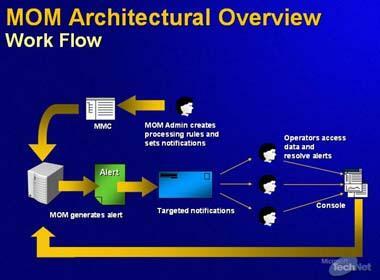 Second, MOM supports processor health rules that give you alerts when specific events or performance conditions occur. There’s also an extensive knowledge base that explains the impact of certain events on performance conditions and offers advice on how to fix them. Management packs contain rules for monitoring a comprehensive array of server health indicators and creating alerts, often preemptively, when problems are detected or reasonable thresholds are exceeded that require administrator intervention. That way, they can embed the necessary operational intelligence to aid the administrator or operator. Management packs for Microsoft applications are developed directly by the individual product teams in conjunction with Microsoft Consulting Services and Microsoft Product Support Services, combining the best of development, deployment, and troubleshooting knowledge. Customers have to re-purchase their MOM 2005 licenses for all monitored devices at the time they decide to add the 11th managed device. A business process is a set of actions that together meet some useful business need. BizTalk Server 2004 is built completely around the .NET Framework and Microsoft Visual Studio® .NET. Whatever format a message arrives in, it is always converted to an XML document after it is received. Similarly, if the recipient of a document cannot accept that document as XML, the engine converts it into the format expected by the target application. A message is received through a receive adapter. An adapter is an implementation of a communication mechanism, such as a particular protocol. BizTalk Server 2004 provides built-in adapters, and adapters have been created for popular applications such as SAP. A developer can determine which adapters to use in a given situation, or can create custom adapters for specific needs. 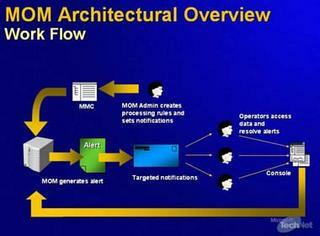 Processing of the message can involve multiple steps, and it is performed by a message pipeline. A developer can also create custom pipelines by using the Pipeline Designer tool. After a message has passed through an adapter and a receive pipeline, the business process must determine where it should go. For example, an orchestration might create a subscription that matches all messages of the type “Invoice”, or all messages of the type “Invoice” received from Woodgrove Bank, or all messages of the type “Invoice” received from Woodgrove Bank that are for more than $10,000. 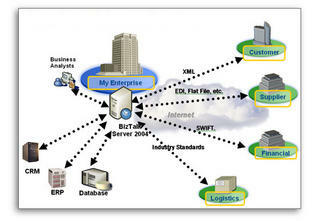 Enables you to create a business process graphically. BizTalk Mapper: Mapping Between Schemas using XSLT transformations Orchestration Designer: Its used to defining business processes. 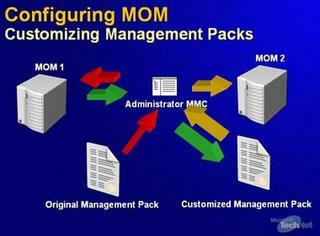 Enables more business-oriented users to directly create and modify sets of business rules. These rules are created by using a tool called the Business Rule Composer, and then executed directly by the engine. This technology is new in BizTalk Server 2004. Three roles are necessary to create and maintain BizTalk Server 2004 applications. Partner Edition: Integration with up to three applications and three trading partners. BizTalk Server 2004 requires Microsoft SQL Server and Microsoft Windows Server 2003 to install. Citrix MetaFrame Presentation Server is a technology that can allow remote users to connect to applications that are actually installed on a remote computer. This is useful for users who are unable to run various Windows programs on their PCs, or people who use many PCs and need to use a common instance of a program across all their computers. Programs are run on thin client server and the user interface is displayed on the user’s machine. This system is called ‘Thin Client’ because the client PC does not need to have the resources needed to run the full program, only the user interface, so can be a lower specification (thin) PC. These Presentation Servers let users connect any client device to any application running on the presentation server (terminal server). Citrix clients are available for Windows, Mac, various flavors of UNIX, and even EPOC handheld devices. There is a UNIX version of Presentation Server so you can run UNIX and Java applications on a terminal server while accessing them from Windows clients. Citrix ICA has the ability to separate application logic from the user interface. On the client, users see and work with the application’s interface, but 100 percent of the application executes on the server. Latest version of Citrix Presentation Server is 4.0.Its due to be released in the second quarter of 2005 and will be available in three editions, Enterprise, Advanced and Standard. Bear Paw is the next release of Terminal Server (the set of technologies currently known as “Terminal Services”). Microsoft is enhancing this component, making it almost a standalone app in its own right. Citrix clients do not actively use their own resources to access such infrastructures, rather, just to view the remote session over an optimised protocol.